Even after 72 years of Independence, there are still few in the country for whom a simple task of going to school could be a battle. 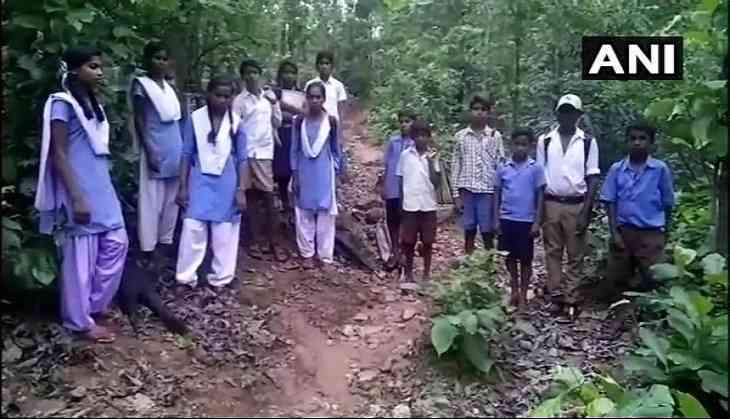 This is the condition of students in a village in Balrampur district of Chhattisgarh. Due to lack of proper roads, the students are forced to walk for at least eight kilometres to reach their school in the neighbouring village of Kolti. In addition to poor connectivity, students say that no educational institutions are available in their village, thus leaving them no option but to travel the extra miles to attend school. While connectivity remains a crucial challenge, extreme weather conditions worsen the situation for these young children. "When it rains, it becomes difficult for us to go to school. We have to cross a river and jungle to reach school. There is no school in our village, and it is not very safe for us," a student said. Apart from students, locals, too, face the hardships of lack of proper roads, and claim that despite complaints to authorities in the state, nothing has been done so far. "These ministers come before the elections and make false promises, but once they get the votes, they forget about us. We have never been helped by the ministers," a local claimed. However, an official from the Shankargarh district panchayat assured that action will be taken at the earliest possible to minimise the hardships faced by the locals. The situation in the village raises several questions on the concerned authorities, who have neglected a problem as grave as this for several years, risking the lives and safety of the villagers and young children.